Commercial ultraviolet disinfection systems are specifically designed to treat microbiologically contaminated ground or surface waters. These disinfection systems offer a 4-log reduction (99.99%) in bacteria, virus and protozoan cysts (specifically giardia lamblia and cryptosporidium). This UV process is quick, simple, inexpensive, and environmentally friendly as it does not add anything to your water and creates no disinfection by-products. The most ecological way of treating your water! ​RainDance Water Systems: Viqua UV Pricing & Information - NSF 55 Class A UV Ultraviolet systems provides treatment for flow rates of 10gpm to 30gpm. Commercial business and home owners can now take drinking water into their own hands & avoid the worry of Boil Water Advisories (BWA) that are constantly in the news. This system offers a compact water treatment solution with a small footprint for simple installation. Equipped to inactivate chlorine-resistant parasites such as Cryptosporidium and Giardia, harmful bacteria like E.Coli, and viruses not visible to the naked eye. The Viqua NSF Certified UV systems use a revolutionary lamp with twice the output of current high output lamps, giving you compact single-lamp systems that are half the size of their predecessors. Revolutionary amalgam lamps last up to two years, reducing maintenance requirements. The CoolTouch significantly reduces water temperature and does not waste any water. Easy Quarter-Twist Assembly: A quarter-twist to the positive stop and you're done. No tools and no risk of over tightening. The power supply has an intuitive interface showing you the performance of the system.These systems are suited for home or light-commercial type applications with constant flow demands. They are simple to install and maintain, allowing for a simple water solution! Plumb 2 or more UV systems in parallel for higher flow rate applications! The optional COMMcenter displays dose in real-time and can monitor up to 9 UV systems - that's up to 270 gpm! Perfect integrated uv water purification for craft beer breweries, food & beverage, drinking water systems, commercial business, produce growers, well water, city water, livestock, restaurants. System comes supplied with sediment filter and carbon block filter to Insecticides, herbicides, pesticides, chlorine, color, chemical tastes and sediment particles commonly found in water. Reduces the need for expensive pre-treatment systems. Overall Dimension: 25" x 12" x 36.6"
Light Commercial UV Purification ON SALE NOW! Perfect integrated uv water purification for whole house water treatment, craft beer breweries, food & beverage, drinking water systems, commercial business, produce growers, well water, city water, livestock, restaurants. System comes supplied with integrated sediment filter and carbon block to filter lead, Insecticides, herbicides, pesticides, chlorine, color, turbidity, cloudy water, chemical tastes and sediment particles this feature reduces the need for additional expensive pre-treatment systems. Overall Dimension: 25.5" x 12" x 28"
​All UV Max PRO Series Systems include all components and accessories needed for initial installation and use. These include UV Lamp, Power Supply, Quartz Sleeve & 316 Stainless Steel UV Reactor (Water Chamber). UV Dimension: 22" x 4"
Power Supply Dimensions: 13" x 6.5"
UV Dimension: 31" x 1"
UV Dimension: 41" x 1"
Our Model H+ systems are ideally suited for light commercial applications such as day cares, hospitals, dentist offices and other facilities focused on providing safe water. UV water purification, hotel & motel, apartment and condominium buildings, beverage, food processing, schools, restaurants, cafeterias, farms - dairy, cattle, chicken, swine, horses, and more. UV Dimension: 31" x 4"
Our Model K+ systems are ideally suited for light commercial applications such as day cares, hospitals, dentist offices and other facilities focused on providing safe water. UV water purification, hotel/motel, apartment and condominium buildings, beverage, food processing, schools, restaurants, cafeterias, farms - dairy, cattle, chicken, swine, horses, and more. UV Dimension: 41" x 4"
Attention: UV Operating Parameters: Max Water Hardness (120ppm – 7gpg), Iron (0.3ppm), Manganese (0.05ppm), Max Temperature (104 F), Min Temperature (32 F), Plumb 2 or more in parallel for higher flow rate applications! 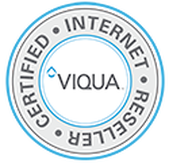 RainDance Water Systems is proud to offer VIQUA the world’s largest supplier of residential and light commercial UV water disinfection systems, providing safe water without the use of chemicals.